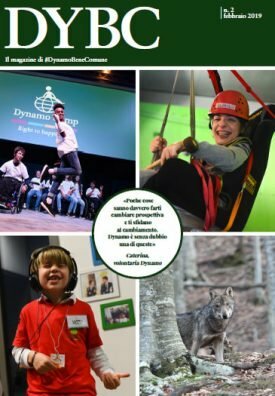 The Dynamo Camp programme consists of a wide offer of creative, expressive, fun and exciting activities structured on the basis of the Recreational Therapy model. Every activity at Dynamo Camp can be interpreted as a personal challenge, constructive and without elements of competition. The children have the choice of what pace to proceed at and the limits to push themselves to, e.g. whether they wish to recite on the stage or just prefer to help behind the scenes. Every objective is reached with their individual commitment and group collaboration: the children encourage each other, they work in teams and obtain success thanks to their enthusiasm and the supervision of suitable qualified staff. Immediately after the activity, the children have the opportunity to reflect on the objectives reached, the method whereby they succeeded and the meaning of their success in a group discussion or more privately by writing their thoughts in a diary. This process, at various levels, brings them to the discovery that they can succeed even when they thought they could not and to concentrate on their abilities rather than their disabilities, rediscovering self-respect and confidence in themselves. Naturally, the experience at Dynamo Camp is about fun above all!! Every aspect of the programme is made exciting and attbecause, with fun activities, the children are more inclined to try out new challenges, to be successful, to reflect on what they have achieved and to discover their enormous potential. The experience at the camp is much more than a simple holiday: it provides the traditional camp activities, but adapted so that they can be accessible to all the participants under the management and constant supervision of qualified staff. At Dynamo Camp, the fun is ensured through theatrical shows, artistic workshops with the participation of established contemporary artists – Dynamo Art Factory – a studio for making music and radio programmes – Radio Dynamo – and photographic and video workshops – Dynamo Studios, circus school, horse riding, recreational activities in the swimming pool, pet therapy, climbing and so many more surprises. For those who want to, there is the opportunity in the morning to do some small jobs or games to already start the day with enthusiasm. The children are encouraged to make themselves responsible for the spaces where they live; thus they help to clean the chalets and put their things back in order. There are so many entertaining proposals every day, depending on the age of the children, the weather and the programme. All the participants eat together in a large dining hall, where there are always songs, entertainment and surprises. After lunch, the children return to the chalets where they can choose whether to sleep a while or carry out more relaxing activities such as reading, writing or playing board games. The day continues in the afternoon with so many other activities and proposals. Dinner concludes the afternoon’s activities: they return to the dining hall where there is no lack of song and dance. 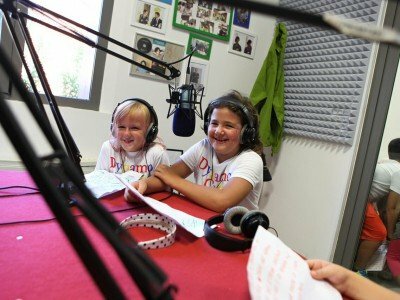 The evening programme changes every day: dance evenings, small camps, theatrical shows or prize evenings…there is only an embarrassment of choice! Before going to sleep, the children spend a bit of time with the organizers and another 8-9 children who they live with in the chalet. It is a beautiful time in the day when the children can chat peacefully, get to know each other better, exchange opinions, share emotions and experiences that are often common and get great strength from each other. The children go to sleep to rest and recover their energy for the new day. There is a fully equipped infirmary in the camp where professional doctors and nurses manage the routine procedures directly. Our philosophy is to have the necessary medical component ever present and capable of intervening promptly but discreetly: it is for this purpose that the infirmary is also a lively coloured environment. All this allows the participants to live an unforgettable experience of relaxation in complete calmness and safety. Onco-haematological pathologies, neurological pathologies, rare syndromes, spina bifida, diabetes and metabolic pathologies are admitted today at Dynamo camp within the context of the different programmes for unaccompanied children and families. 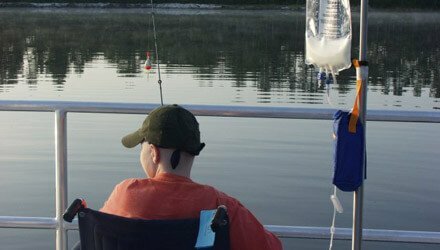 Dynamo Camp…where the real cure is laughter and the medicine fun!